Jeju Shinhwa World* has become one of the most visited place on Jeju Island. The park was developed over three years and has 15 amazing rides and various attractions for children and adults. 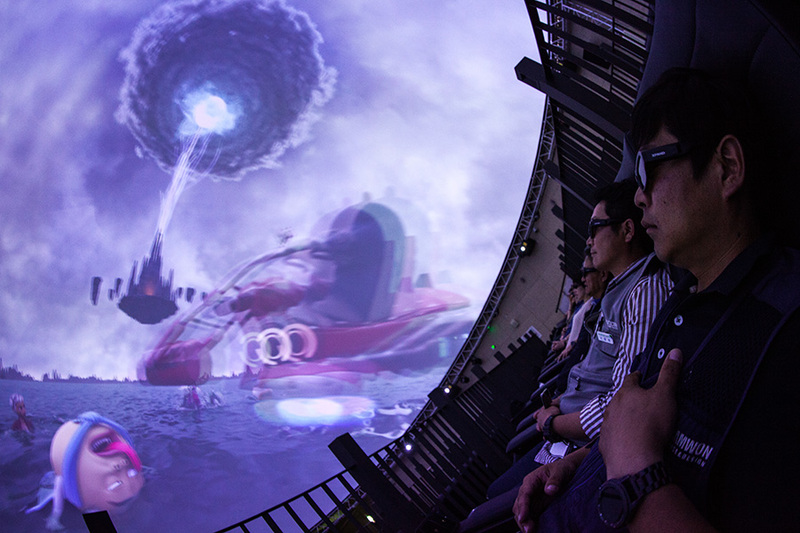 CL CORP created unique and innovative 4D theatre that makes every visitor feel like they’re diving into the world of animated films. 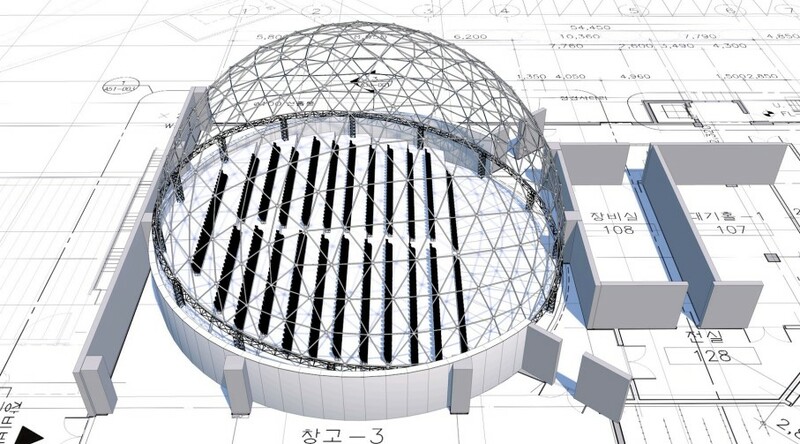 They invited Fulldome.pro to join the project to provide the dome screen and projection system. To create an interactive attraction that would be an immersive experience for visitors to Shinhwa Theme Park, using the latest technology for amusement parks. 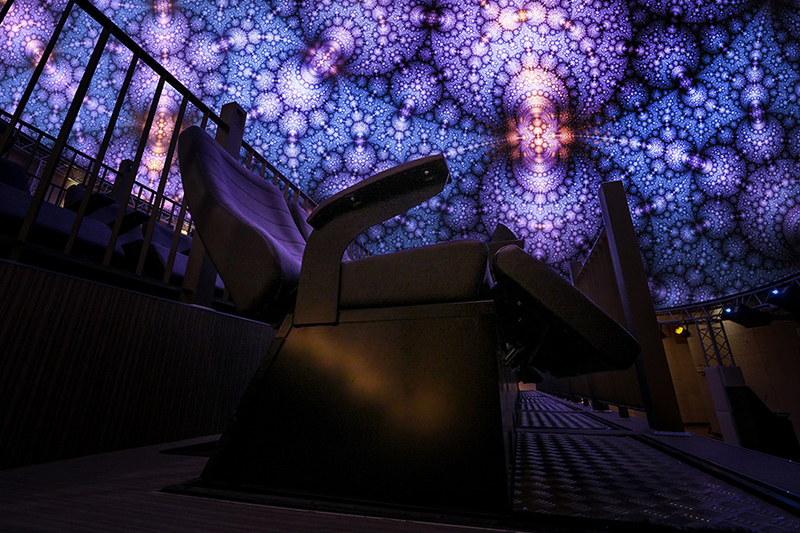 CL CORP, a developer of immersive attractions, was tasked creating ride in which the audience would be reclined in moving seats under a dome screen with a 3D show. 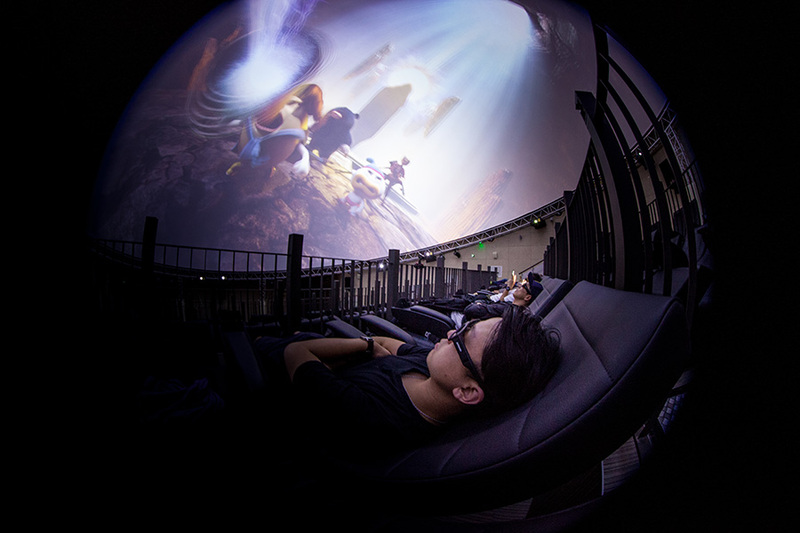 CL CORP have many years experience in creating attractions but not in dome projection, so CL CORP approached Fulldome.pro to partner with them to design and manufacture the dome and projection system that would make the ride truly immersive. Together, CL CORP and Fulldome.pro went to work designing the Rotary Park attraction for Shinhwa Theme Park. The engineers, manufacturing, factory, and construction crew all worked as a team to produce something truly amazing. A key attraction at Shinhwa Theme Park, the Rotary Park zone combines creative content and innovative design, with the latest technology. 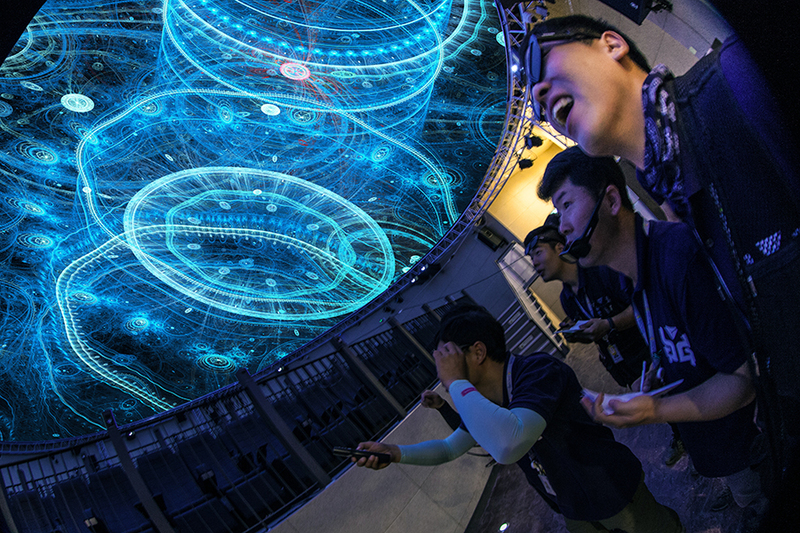 CL CORP created a pre-show, which the audience passes through while queueing for the main ride, but the centerpiece of Rotary Park is the 20 meter dome with 130 Head In The Stars® motion seats beneath it. 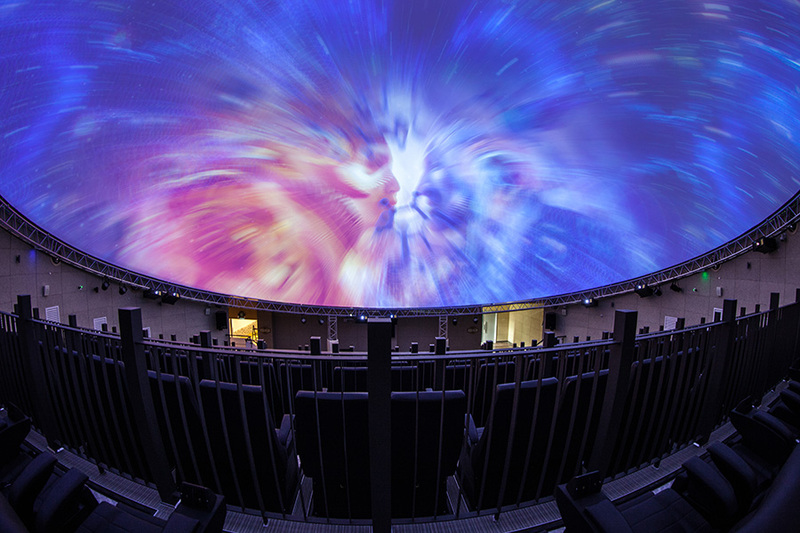 The 20 meter negative pressure screen fitted snugly inside the purpose made dome roofed building and a 12 projector, 5K 3D projection system powered by a single Fulldome.pro Media Server was installed. 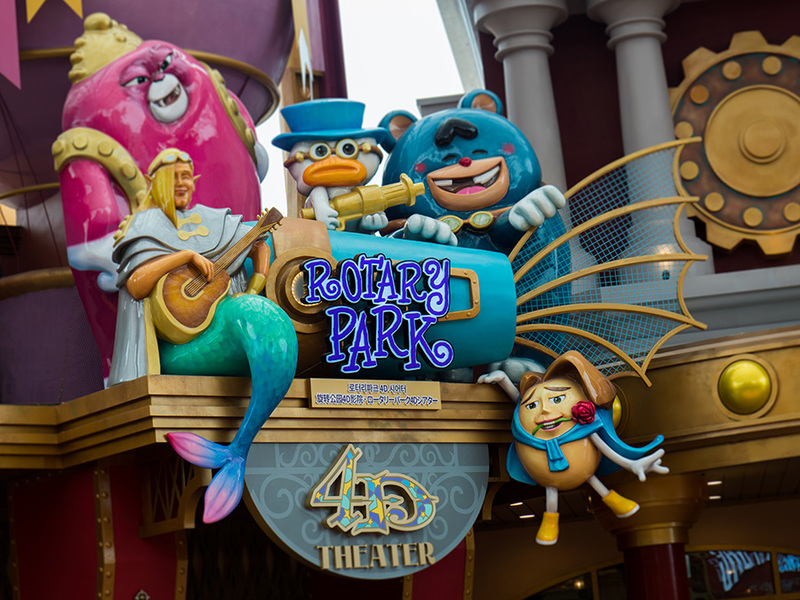 Tuban Studios in South Korea created a special show using characters from the Rotary Park TV show exclusively for the attraction. Movement of the seats is synchronized to the action in the show, so while the audience remain in one place, they feel like they are being transported into the world of the characters on screen. The result is a fully immersive experience to thrill every audience.